Mohammad Kaif is an Indian cricketer who was born on December 1, 1980 in Allahabad, Uttar Pradesh. He is mainly a batsman and performs as a right-hand batsman and a right-arm off break bowler. He captained the Indian team to victory in U-19 World Cup in 2000. Mohammad Kaif was born into a family of cricketers. His father, Mohammad Tarif, played for Uttar Pradesh cricket team and Railways cricket team while his older brother, Mohammad Saif played for Uttar Pradesh cricket team and Madhya Pradesh cricket team. He played for India national cricket team, India Red, Kings XI Punjab, Rajasthan Royals, Royal Challengers Bangalore and Uttar Pradesh. He was one of the five Uttar Pradesh cricketers to be selected in the national team. As a result of his achievements from a young age, Mohammad Kaif was given a spot in the national team and played his first Test match against South Africa national team at M. Chinnaswamy Stadium on Mar 02, 2000. However, his performance in the following string of games had been poor and eventually, he was dropped off. His ODI debut was against England at Green Park on Jan 28, 2002. Though he played only 13 Tests and 125 ODIs throughout his career, he is still largely famed as one of the most athletic all-rounders of all time. Mohammad Kaif became a national hero overnight when he scored an unbeaten 75-ball 87 runs in the 2002 Natwest Series final against England. He batted with Yuvraj Singh and together they scored a whopping 121 runs. Kaif was rightfully adjudged the Man of the Match for his magnificent performance as India managed to achieve a record-breaking target of 326. He served as the captain of the Indian ODI team in the 2005/06 Challenger Trophy in the absence of regular captain Rahul Dravid. Kaif represented Jaipur based franchise Rajasthan Royals in the inaugural edition of the Indian Premier League in 2008. Even though he played in all the matches for the team, he had a poor run in the series, scoring only 176 runs at an average of 16. On 15 April 2009, he was dismissed by team management for the 2009 season which cited his poor form and cost-cutting. He was in a race to be the coach of Afghanistan national cricket team but lost it to Lalchand Rajput. Mohammad Kaif played for Rajasthan Royals in the IPL. His IPL debut was versus Delhi Daredevils at Feroz Shah Kotla on Apr 19, 2008. He was dismissed from the team in 2009. He was auctioned to Royal Challengers Bangalore in the sequential years. He retired from IPL in 2012. 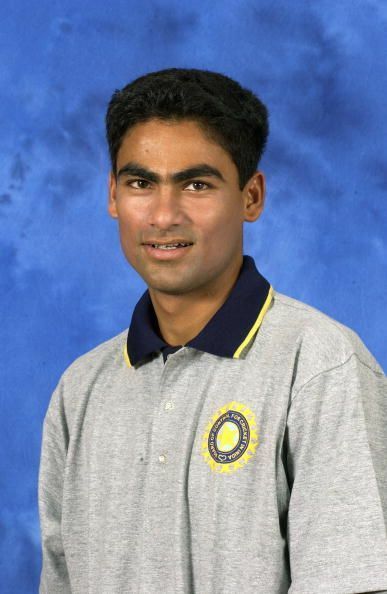 Mohammad Kaif was the captain of the U-19 national cricket team. He led the team to victory in the 2000 World Cup. He is said to have contributed incredible skills thereby earning excellent stats. He was the caption of the ODI team in absence of Rahul Dravid. Mohammad Kaif had many achievements over his career. Some of them include being very capable as a young captain, scoring a target above 300 and performing greatly as a fielder. He is named the Fielding Coach for Chennai Super Kings for the 11th season of IPL. Mohammad Kaif’s career ended unwillingly when he was let off the national team at the age of 26. This led to the rise in many conspiracy theories as Mohammad Kaif had a very promising career. While some blamed dressing room politics, others blamed Greg Chappell.